I was on call overnight, but now it's a cool morning, with an almost autumn breeze, and I'm reminded of resurrection. Mercy died yesterday morning, and that one was particularly hard. Because she was young. Because she has orphaned at least two little children. Because she spoke English and had been in the hospital for three weeks, so I kind of feel like she was a friend, after a manner. Because, in retrospect, I think I might have figured her out sooner if I had asked the right questions, and then maybe she'd still be here. Now that it's done, I think that her heart failure had been distracting us. 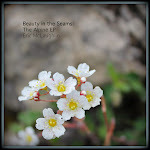 It was definitely present, but unusually hard to treat, and the overall picture just didn't quite fit right. Then, three days ago, she develops swelling in her thigh, we confirm that she has a clot in there, and all of a sudden I'm thinking that maybe that's been the problem all along. Pieces of clot from her leg veins breaking off and lodging in her lungs. We started her on treatment, but I guess we were too late. Or maybe it didn't matter. In any case, yesterday morning, walking back from the bathroom, she suddenly collapsed, and nothing we could do could bring her back. It wasn't until the day before she died that she told us that she'd had this kind of leg problem before. She never thought it was relevant, and I never made a point of asking. Her intern and I gathered with her very large family in the hospital hallway in the afternoon. We explained what we believe happened, and expressed our grief at not having been able to save her. We prayed together. Their gratitude in the face of this tragedy is overwhelming, and it is near to shaming me, as the back of my mind wonders if a better doctor, even here in this limited setting, would have sent Mercy home to mother her children. And yet it wasn't until this morning that I was reminded of resurrection. Something about the cool morning hours, and I opened the bible to the end of Luke. The family and friends had lost. Their expectations for the future were crushed, as they suddenly lost a young life. Chapter 24 starts “But...” But it didn't end there. This death was different. It was reversed. Transformed. This death was different than all that had come before. And none since has ever been the same. Resurrection for Mercy. Resurrection for me at the end of my days, whenever it will come. Resurrection from the smaller, everyday deaths that our lives bring to the lives around us. Resurrection of all our mornings and evenings. Every Monday around 11:30 we have a baby/toddler playgroup. A few months ago, there were 5 baby members at Tenwek all within 5 months of each other. One of those babies has since gone back to the States and another will be leaving next week, so the McCropder babies will soon be the only ones left. Our little "Bum Geniuses" from left to right: Maggie McLaughlin, Micah Cropsey, Abi Fader -- ironically in McCropder order which also happens to be the reverse of their birth order. We often discuss who will be the valedictorian of the class of 2027. It's hard to tell at this point, but there are certain "awards" that we might be able to accurately predict. This past Monday we thought it would be cute to deck our children out in their matching Bum Genius cloth diapers. On certain days, you can see close to 60 diapers hanging on the McCropder clothesline. Look out all you 2027 high school graduates...these three munchkins have been surrounded by Geniuses since infancy and have a good chance of snagging all that scholarship money (so we hope)! "Wow, have we got an interesting case for you!" It is not every day that a resident will greet me this way (but maybe most days). 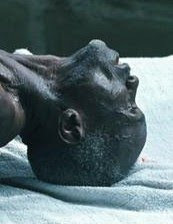 Being a referral hospital for close to 1 million people, we tend to get quite a few interesting patients. This patient came to us at the age of 2 days. Her mother was concerned about her large tongue. Rightly so. Having never encountered something like this before, I scoured the ENT textbooks that we have here and then e-mailed pictures to an ENT surgeon in the States. He gave me a detailed description of how to remove this ranula and soon thereafter, a few residents and I removed it with great care. Not surprisingly, the baby's mouth stayed in an open position for a week or so, since her jaw had been fixed in that position for most of her in-utero life. A few weeks later, however, she looked great when we saw her in clinic. Several weeks ago, as aforementioned in the story of an all-too-wild automotive experience, I spent a week in the town of Nakuru, at a conference on managing HIV medications. I was able to learn quite a bit, and now can start doing more and more HIV work here at Tenwek. (This, by the way, is not in the average skill set for an American family medicine doc.) I also got to spend a week in Kenya's 3rd largest city, and see their famous lake, complete with more flamingos than you would probably ever think would hang out together in any one place. 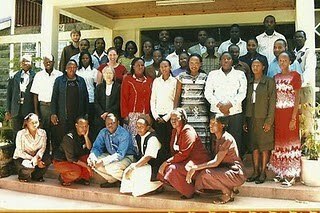 In addition to all of this, this was my first opportunity to attend a distinctly Kenyan conference. Some things were quite similar: Powerpoint slides. Lecturers answering cell phones during their talks after asking the audience to power their phones down. Meeting new people from new places. However, I'll remark on a couple of things that I've definitely never encountered in American conferences. 1. The Appreciations. The word "appreciate" is used by Kenyans in a slightly different manner than in the US. "I really want to appreciate you" to a Kenyan means "I really appreciate you". To an American, it might mean "I really want to appreciate you, but I just can't seem to muster the sentiment." At any rate, each lecture at the conference ended with a certain formality: Lecture concludes. Everyone sits in silence while the lecturer collects their materials and prepares to depart. Just as they are ready to physically leave, a (seemingly) random audience member asks them to remain "so that we can appreciate them." In the states, you would have a sporadic round of applause. Here, "a professional speaker deserves a professional applause", as I was told. So, we all stand, and some impromptu leader tells us all what we will do for our appreciation. The options seem to be (1) a single loud clap all together, (2) a series of claps in some rhythmic pattern, or (3, the weirdest one) an imaginary gathering of overhead flowers and an imaginary presentation of them to the speaker. 2. The Energizer. Apparently, the night before we got to the conference, various offices were assigned for the week. One of these is someone to direct the Energizers, cheekily (I guess) referred to as "The Minister of Energy". Therefore, if we are sitting through the sixth hour of lecture in a bit of a slump between lunch and afternoon tea, the speaker would ask us if we needed an Energizer. This is the American equivalent of asking if you need to get up and stretch your legs. Here, the Minister of Energy directs us to stand and undergo some brief exercise, which included singing (with hand motions) "Head, Shoulders, Knees, and Toes" and dancing around the room singing a song about fire. 3. The Fill-in-the-Blank. This is a bit hard to describe. As a didactic method, any teacher (in the US, as well) will leave their sentence incomplete with a slight upswing in their intonation, which we know means "you fill in the blank with the correct answer to show me that you're listening." So, the US teacher might say "And this little fort on the river went on to become the current capital of Tennessee, which we all know as... (upswing in tone here)" and we all say "Nashville". Kenyan teachers seem to add two peculiarities to this method. First, they do this often. Like at least every 2 minutes. Second, they do this at (what seems to me) non-intuitive moments. They might say "And because we live in a resource-limited setting it is important that we..." We what? We ensure patients are compliant with the meds? We focus on treatments that really work? We put an extra teaspoon of sugar in our chai? How would I know? The result is that most audience members can't answer the questions, or if a brave individual tries, they may blurt out something that is very different from what the lecturer subsequently says. In the end, I think it's more of a way to keep you alert than an expectation that you'll provide an answer. Nevertheless, it was fascinating that pretty much every lecturer did the same thing. Abi experienced a bout of probable pneumonia a few weeks ago. Here she is modeling her Kenyan-style inhaler. It’s a plastic Coke bottle. Ingenious, no? Anna hosted some scabies last week. Yuck. I have been sporting this orthopedic boot for the last two months (and I’m very happy to report that I can now walk and carry Abi without crutches again). Doctor wonders what in the world to do for this unusual case presentation. Doctor asks for a consult with a more experienced missionary doctor. Doctor re-examines patient with whatever diagnostic tools are available. Doctor determines the need for surgical intervention and prays for a good outcome as she begins an operation she has never performed before. Anna seems eager to launch her medical career. If any of you are looking for an inexpensive tonsillectomy, Anna the future pediologist would be happy to help. One of the most common "illnesses" that makes it way through the Tenwek community is scabies, also known as the "human itch mite". Basically, it's like lice for your body. The mites burrow into your skin and like to hang out between the fingers, on the feet, waist, elbows, and other more sensitive areas. Unfortunately, it has made its rounds through the McCropder community as well. 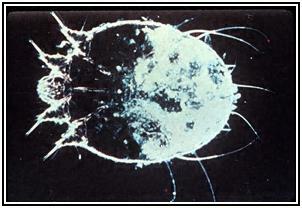 Two families are currently battling the mites with a vengeance. This entails washing all clothes, bedding, and towels with hot water and drying them in a dryer on high heat. Another method is putting items in a closed plastic bag for at least 72 hours. In order to ensure complete destruction, we (the Cropseys) have gone the extra mile of spraying Doom (Kenyan version of Raid) on mattresses, couches, shoes, and in the dresser drawers. 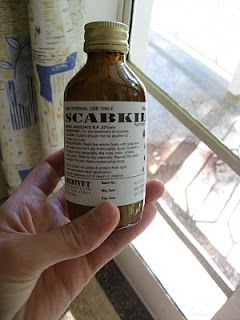 For personal treatment, the local pharmacy carries "Scabkil" (pronounced with a long "a", of course) which is a very stinky lotion that must be applied three days in a row. Since a person can be infested for several weeks without any symptoms, the CDC recommends treating all members of the household simultaneously. Needless to say, the last few days haven't been very pleasant -- constant laundry, itching like mad (especially at night), and lots of time spent applying stinky lotion to small children & adults. We're hoping that our efforts will be rewarded with at least a few months of freedom from scabies. May 13th is a big day. Today, we are celebrating Jason's birthday, our 10-year anniversary, and our last day of Scabkil application! While we've enjoyed our McCropder and Tenwek communities very much, we also really miss our Knox church community from Ann Arbor. The church has been a great support to us here so far, in terms of prayer, encouragement, and finances, and Missions Pastor Bob Lynn is coming out for a pastoral visit end of June. 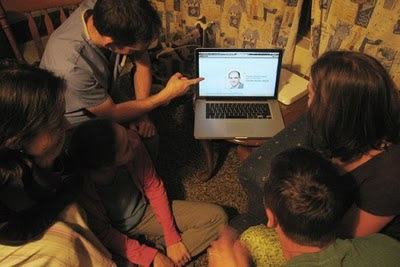 In an effort to remain more connected to the church, every Sunday night the McCropders gather together for sermon night. We download the most recent sermons off of the Knox website, play some worship tunes, and enjoy hot beverages and sometimes baked goods. Here we are, gathered together in the Cropseys' living room with another Knox "alum," Carlan Wendler (who visited in February). 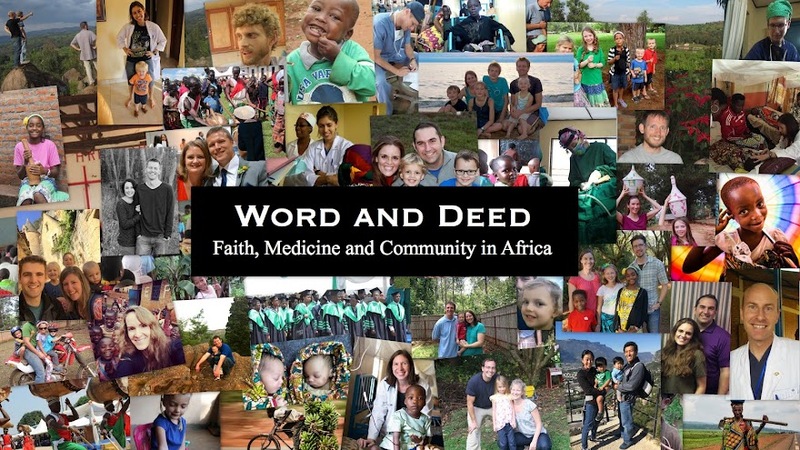 Although we enjoy the church services here at Bethesda AGC, a church on the hospital property, and its sermons by a wonderful Kenyan pastor named Elijah Bii, it's really nice to hear sermons from home, too. Pastor Chuck has always been a great teacher. We went through his sermon series on Joy, and now we're listening to his current series (albeit a few weeks behind) on John. Well, I actually just checked the website and he's been done with John for a month, but at least we're close. :) For those of us moms who have small children that are either distracted the whole service or need to leave to take naps in the middle of the service, it's important to our spiritual growth to get these Sunday night teachings. Also, for those of us doctors who are on call during the weekends and can't make it to church, usually we can make it for 45 min on Sunday nights when things at the hospital have quieted down. All this to say, we miss you, Knox! "Is your abdominal pain worse when you eat?" "Well, what makes the pain worse?" "Bright light and loud noise." Thus, when I say we had "the pleasure of discharging" him, I mean it. He is the type of victory that we need to publicize to ourselves, since our insufficiencies often overshadow our many victories. His abdominal pain was concerning, though, and we tried not to neglect the possibility that something else was going on in his belly. Thus, we had the above conversation about what made his pain worse, and he gave me an answer I've never heard before. Tetanus spasms are brought on by light and sound, and I can't think of a single thing in the abdomen that would otherwise be made worse by those stimuli. The medical community reading this may be trying to remember how to take care of these people. The management is as straightforward as it is perilous: Metronidazole, Tetanus immunoglobulin (which we have), vaccine series, valium for the spasms, and as quiet and dark a room as you can find. Then, lots of supportive care. I just returned from a week-long conference on HIV medications, and I'm planning on sharing a few observations from an interesting week. However, I first want to share our journey back to Tenwek, which was an unexpected epic. 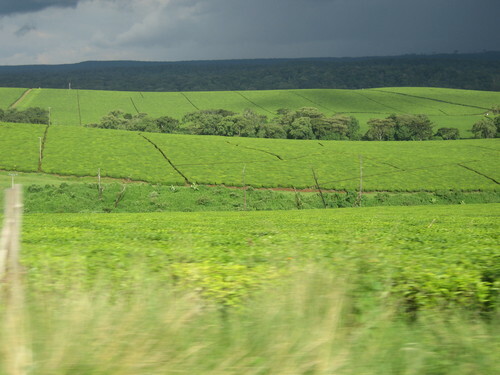 The journey from Nakuru (where the conference was) to Tenwek should take about 3 hours, and about halfway back, you pass through the town of Kericho, which is the heart of tea country, in part because of the profuse amount of rain the area gets. It's actually incredibly beautiful. As we came to the outskirts of Kericho, the weather became typical, that is, a torrential downpour. And here the road narrows quite a bit. I was driving a van (not ours, but a borrowed one) with another missionary doc, and four of our Kenyan staff. Up ahead, an oversized lorry/truck was heading towards us, so I was hugging the shoulder. What happened next was a blur, but it involved the wheel slipping off the shoulder, popping back on to the tarmac, hydroplaning across the width of the road at least twice, narrowly missing several oncoming cars, spinning 180 degrees, and sliding backwards off the road, stunned and shocked that we didn't tip over, which I had felt to be inevitable. We quickly found that no one was hurt. We voiced a prayer of thanks, and I got out to inspect the vehicle. One of the rear tires was flat, the rubber having pulled away from the metal rim. So, we found the jack and the spare (fortunately in perfect condition), and changed the tire out. All this was accomplished in pouring rain. An aside: I have a baseline essential tremor, a shaking that usually isn't very noticeable. But cold and adrenaline are two things that can exaggerate it quite a bit, the result being that I was shaking quite a bit by this point. We got back in the car (which unfortunately still required A/C despite being freezing, to avoid fogging the windows), drove into the town, found a petrol station, and had all the tire pressures checked. As we got through to the other side of town, we heard a weird clicking noise from where we had changed the tire. We stopped, and a couple of us watched the car driving forward to confirm that nothing looked loose. Perhaps the alignment had gone a bit awry. We decided not to worry about it until, a few kilometers later, there was a distinct clunking sound, followed by a loud grating noise. We quickly pulled over, and got out to investigate. The wheel had fallen off. That's right. The whole tire and wheel had fallen off the axle, and a total of zero lugnuts remained. However! The saving grace was that, though it had fallen off, it had remained upright in the wheel well, and so the whole car was resting on the upright wheel and the axle and brake disc never hit the ground. So back out into the pouring rain. We recovered one lugnut from alongside the road, and after much discussion, took one nut from each of the other wheels, put a total of four on the tire, and drove back into town to an auto dealership that had stayed open late since they had heard we would be coming. And so we arrive at Kericho Toyota, more soaked to the bone that I have ever been (my shoes are still too wet to wear 48 hours later), freezing cold, muddy, with me shivering like a psychiatric patient who has been on meds way too long. They took immediate pity on us, brought us some coffee, and within a couple hours had replaced the lugnuts, repaired the tire, and test-driven the car, pronouncing it safe to drive. The owner of the place had extra pity on me, and gave me a bright yellow (and dry!) Toyota t-shirt to change into. I'm glad it was bright yellow, since it would make us a bit easier to see, since we were now going to have to drive 2 hours home in the dark, which in Kenya is a situation we try very hard to avoid. It was still pouring rain. The end story is that we arrived safe, and I learned that Kenyans have an inexplicable habit of turning their brights on when they approach another driver at night, which is particularly difficult when it is pouring rain, and even worse when you are shaking like someone about to have a seizure. And so it is that Rachel found me arriving home at 9:30pm, in squishing shoes, with a pronounced tremor, and a bright yellow Toyota t-shirt that she had never seen before, but thankfully, completely well and safe. One last note: The odds of tail-spinning through a busy main road, and neither hitting anyone nor flipping the vehicle is low. The odds of your tire falling off your car, with no damage to anyone or the vehicle is also very low. The odds of both events happening in the space of 90 minutes is very much lower. And so we thank God, who sustains us in many ways, recognized or otherwise.